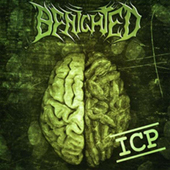 Rising from the French underground in 1998 BENIGHTED are long since established as one of the leading European extreme Metal acts. Their brutal but groove laden mix of Death and Grind has won them large audiences at renowned festivals like Hellfest Open Air, Summer Breeze Open Air and Neurotic Deathfest as well as opening for MORBID ANGEL, DYING FETUS and DEICIDE. 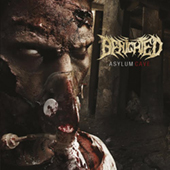 Now BENIGHTED unleash their most brutal and technical release with "Asylum Cave", telling the haunting story of a delusional schizophrenic, obsessed by infamous Austrian abductor Josef Fritzl. Be prepared for this massive onslaught of madness and insanity! 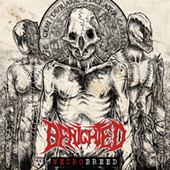 BENIGHTED return with 'Carnivore Sublime,' their best and most vicious album-to-date. A blistering display of modern extreme metal, 'Carnivore Sublime' is nothing short of a full-scale assault. With a relentless vocal onslaught, bulldozer-heavy riffs that swarm the listener, and close-to-inhuman drumming, the album beats you into submission over its 11-track length. 'Carnivore Sublime' is a synthesis of everything great about modern death metal distilled into what will arguably be one of the genre's best albums of 2014.